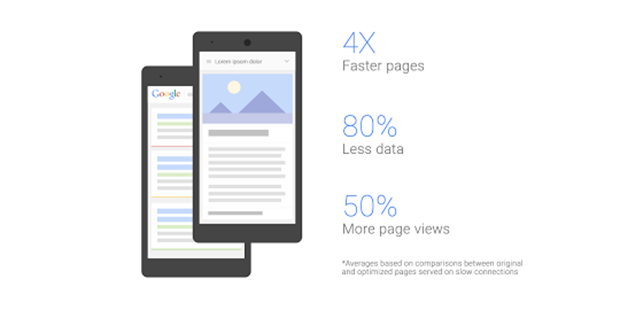 Google Brings 4X Faster Browsing To Android Devices In India. After launching the optimized version of Google search for mobile devices with slow 2G internet connection in India, Google is now planning to go one step further with web optimization. Slow mobile internet connections are a common experience in India. While most of the smartphones users in India can’t afford fast 3G data packs, many of us face slow internet connection due to poor signal strength, network saturation and various other reasons. Now, as everybody should have access to a fast web irrespective of their internet speeds, optimizing the web was the only viable option. And guess what? Google has done just that. 1.1 Test 1. Normal version of trak.in. Google has been experimenting this feature for a while in Indonesia now and it now plans to bring this feature to Android users using stock and Chrome web browsers in India. Its experiments in Indonesia revealed that its low bandwidth transcoder can reduce web-pages by up to 80% in size and thus loads them up to 4 times faster in the browser’s viewport. This will not only save a lot of your mobile data (Google claims upto 80%) but will also let you read what you want very quickly. We ran some tests on Trak.in on GTmetrix to find out how good this low bandwidth encoder is for already optimized websites and the results astonished us. We are talking about 72.66% improvement in load time and 70.86% reduction in page size! Please note that GTmetrix tested from Vancouver, Canada which is far away from where our servers are located. They result would have been even better if the website were to be tested from a location from India (as Trak.in servers are in India). Test 1. Normal version of trak.in. Here also we saw huge improvements in webpage load time and its size. 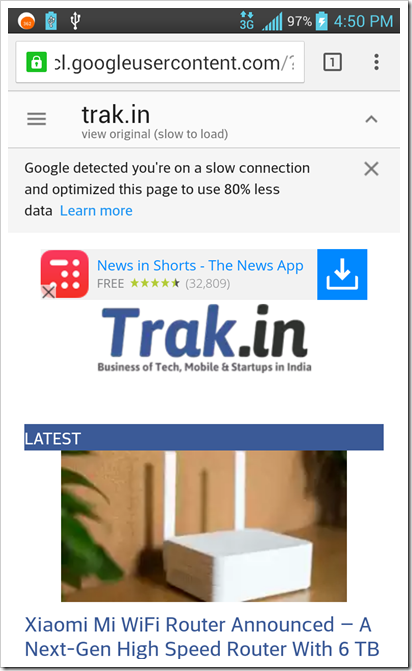 So, if you are on a slow mobile connection and you visit Trak.in through Chrome, here is what you will see. Google obviously hasn’t revealed how this optimization works, but from what we can see, this optimization strips all but the required scripts and styles including Google Analytics. The readers are presented with a bare bones version of the website when they visit on a slow internet connection. The visitors are made aware that they are viewing the optimized version of webpage via a message at the top of the page. They are also given an option to visit the un-optimized and slow to load (according to Google) version of the webpage. Google also mentioned that the optimized webpages received 50% more traffic than the regular version of the page. The webmasters also have an option to opt out from this optimization. 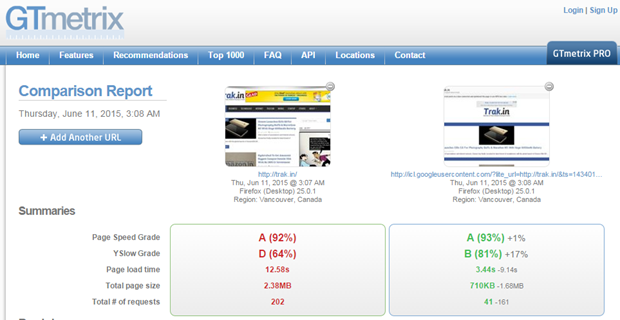 As per our tests, the optimization currently works alongside AdSense and Tribal Fusion ad networks. The support team is also trying to make it work with Zedo, Sovm, and DFP. If you want your ad network to be supported by this optimization, then please visit the help page for ad networks. While this automatic on-the-fly webpage optimization will be immensely useful for those on slow internet connections, it also means that Google wants to take the control of the entire web in its own hands. While we have no issues against it, we do feel that the search giant should at least let the webmasters tweak how their websites would look to their visitors. I certainly wouldn’t be very happy if my visitors would be shown some skeleton version of my website. I haven’t spent thousands of dollars on its web design for feeding the web bots.